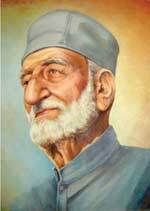 Abdul Ghaffar Khan (1890-1988) was a Muslim nonviolent activist who sought the end of British rule in India from the 1920s until independence in 1947. He was a key ally of Mahatma Gandhi, and to many, their friendship represented Muslim and Hindu unity. The British feared Khan because he gained much support from Muslims, a lynchpin of British rule, as the British counted on the support of this religious minority against the Hindu majority. Nevertheless, Khan struggled with the culture of violence and revenge that was prevalent in Pathan society. Khan believed that this culture of violence would only lead to the Pathans’ own destruction. It was difficult to persuade people that nonviolence was the answer when they had been raised to believe the opposite. He was nevertheless able to be persuasive because he believed violence to be a result of ignorance, and he sought to educate Pathans. He believed they were capable of more than just violence, and he told them this. Khan approached the Pathans with an open mind and understood them. 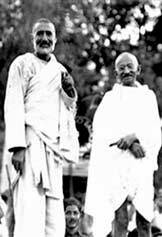 It was due to his understanding and his belief that they were capable of more that the Pathans began to follow him in his movement of nonviolence. Khan continued to tour India, gather followers and promote education. He urged people to join his nonviolent resistance against British rule. He told them, “Rule yourselves, and as long as you live, do not submit to the rule of anybody else. Be prepared to free yourselves from this oppressive rule.” His words did not promote the use of violence against the British, or even the hatred of the British, only nonviolent resistance to their rule. However, The British still viewed him as radical and dangerous. They also feared his nonviolent army, the Khudai Khitmatgar (“Servants of God), known popularly as the “Red Shirts.” Khan and his followers held nonviolent demonstrations and suffered the abuses of the British. The British arrested Khan numerous times for his nonviolent actions. After the departure of the British, Khan continued to suffer persecution and arrests by the Pakistani government for speaking out against the newly independent government’s rule. 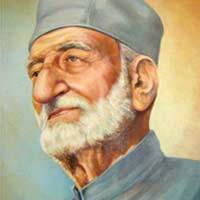 Throughout his life, Ghaffar Khan was feared and punished, first by the British and then by Pakistan. He was not intimidated, as up to his death in 1988, he never stopped his nonviolent efforts for peace. Elizabeth Siwica is a graduating senior majoring in history at Florida Atlantic University (FAU). She is writing a senior thesis on Khan and presenting her research at the FAU Undergraduate Research Symposium. After graduation in May 2019, she will be going to Benin, Africa to spend several years as a volunteer with the U.S. Peace Corps.